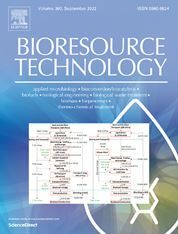 Bioresource Technology publishes original articles, review articles, case studies and short communications on the fundamentals, applications and management of bioresource technology. The journal's aim is to advance and disseminate knowledge in all the related areas of biomass, biological waste treatment, bioenergy, biotransformations and bioresource systems analysis, and technologies associated with conversion or production. • Thermochemical conversion of biomass: combustion, pyrolysis, gasification, catalysis. For more details, authors should consult the Subject Classifications in the Guide for Authors. The Journal does not consider articles dealing with crop cultivation, breeding and agronomy, plant extracts and enzymes, composites, marine organisms (except microorganisms and algae for bioprocesses), soil and air pollution, and performance of fuel combustion in engines. Bioresource Technology does not consider part papers.